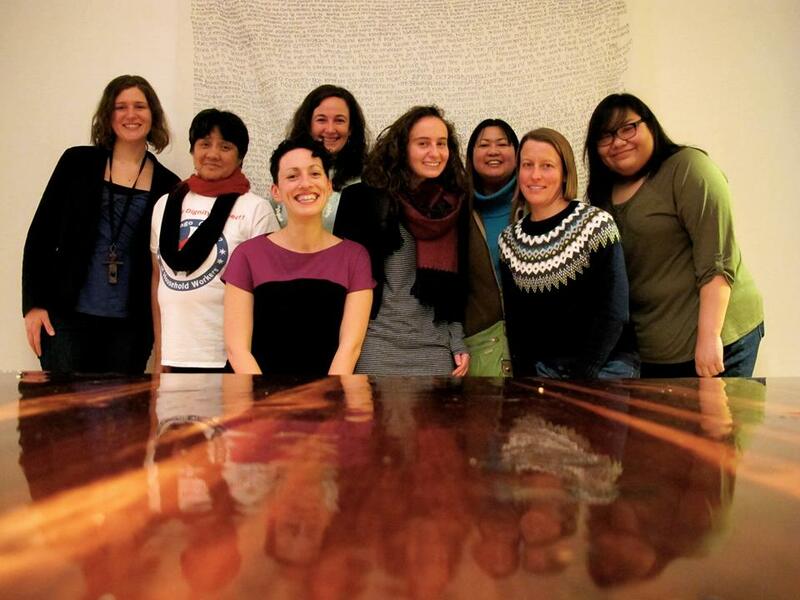 Love and Labor: Domestic Workers as Community Docents (2013-2014) was a collaboration between the Jane Addams Hull-House Museum and the Latino Union of Chicago designed to share the story of domestic worker organizing from the turn of the 20th century to today. Over the course of six months, 1,500 visitors experienced a guided tour of Hull-House and discovered JAHHM’s latest community-curated exhibit, Unfinished Business: 21st Century Home Economics. The exhibit described the home economists’ visionary work to create a world with healthy food for all, fair labor practices for domestic work, ethical consumerism, and community childcare solutions. 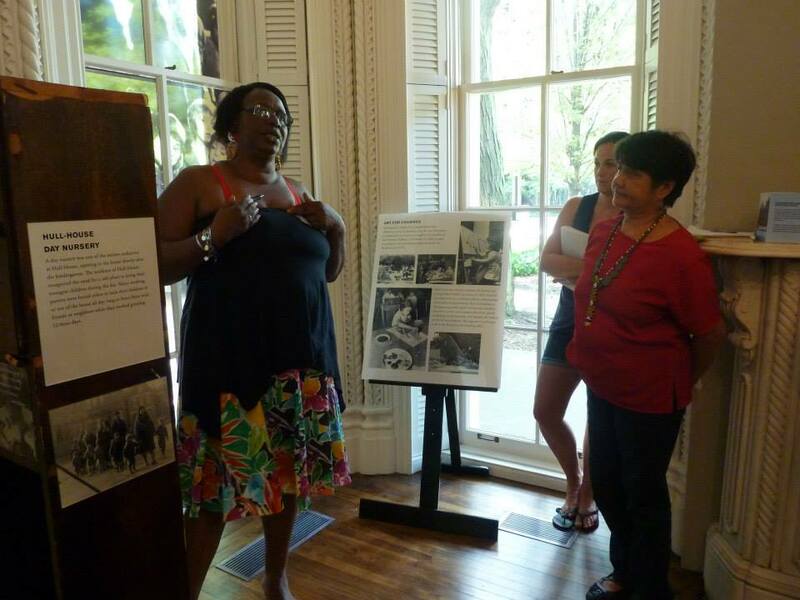 Following the tour, participants engaged in a facilitated dialogue during which they connected history to the contemporary struggle for dignity, respect, and legal protection for today’s care and household workers. 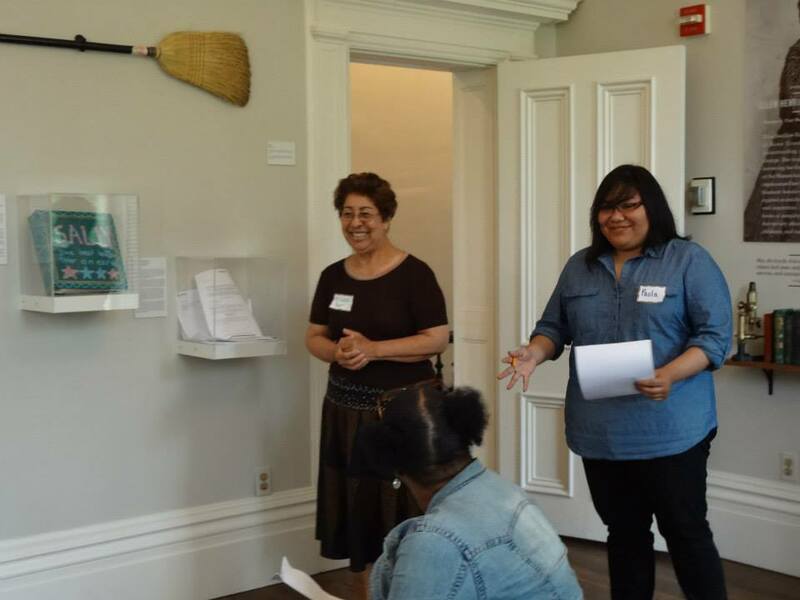 Chicago Coalition of Household Workers domestic worker and organizer, Myrla Baldonado reflected that “co-curating and becoming a docent of an exhibit on domestic worker was a totally empowering experience. Our stories, ideas and experiences as domestic workers were valued just as Jane Addams recognized Mary Keyser, the housekeeper and domestic organizer of the Hull House Settlement. Learning about and sharing the lives of women reformers was refreshing and inspiring. It was an honor to be a part of this." Love and Labor blended JAHHM's mission of linking research, education, and social engagement with the CCHW’s mission of collaborating with low-income immigrant workers to develop the tools necessary to collectively improve social and economic conditions. “The exhibit and community docent program has really helped us. 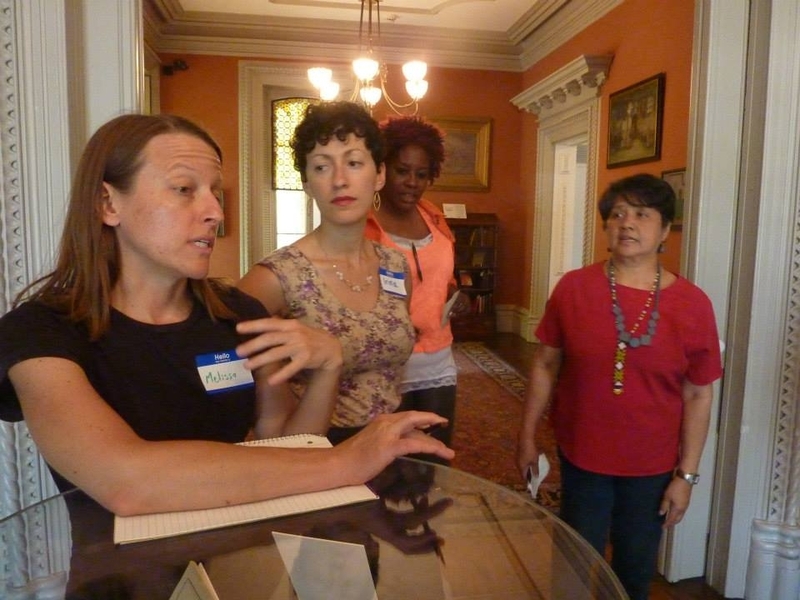 When we’re advocating with the Department of Labor we use the Jane Addams Hull-House exhibit and community docent program to educate legislators on the history of domestic labor organizing. It’s something stable and official - an institutional partnership that lends credibility to our work.” - Eric Rodriguez, Executive Director, Latino Union of Chicago “Indeed, what makes these tours and dialogues unique is they are not only a form of public history and education. They are a form of organizing and coalition building in their own right." - Irina Zadov, Educator Manager, JAHHM. Love and Labor was made possible through the support of the Jane Addams Hull-House Museum, Latino Union of Chicago, University of Illinois at Chicago, and Illinois Humanities. Photography courtesy of Irina Zadov.